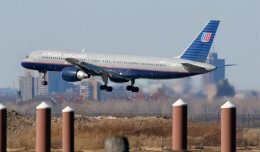 United Continental Holdings on Thursday announced that both companies posted profits in the third quarter of 2010 and that they will lift capacity just 1% to 2% in 2011. A United Airlines 787 dreamliner made a special appearance during President Barack Obama's visit to Boeing's Everett, Wash. factory on Friday, becoming the first Dreamliner to wear the complete United livery. United Airlines and Continental Airlines on Friday announced that the U.S. Department of Justice has approved the merger of the two airline companies and is closing its review pending the merge of the airlines. 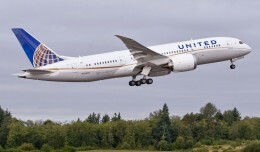 United Airlines has become the first North American carrier to take delivery of a Boeing 787-8 Dreamliner.